Lions in West- and Central Africa are regionally endangered, living in small fragmented populations in protected areas only. The main threats are habitat destruction for agricultural development (of dry savannah) and human-lion conflict. Habitat destruction can be stopped by sustainable land management, where part of the dry savannah is kept intact, the introduction of sustainable agricultural methods and the implementation and proper management of national parcs. 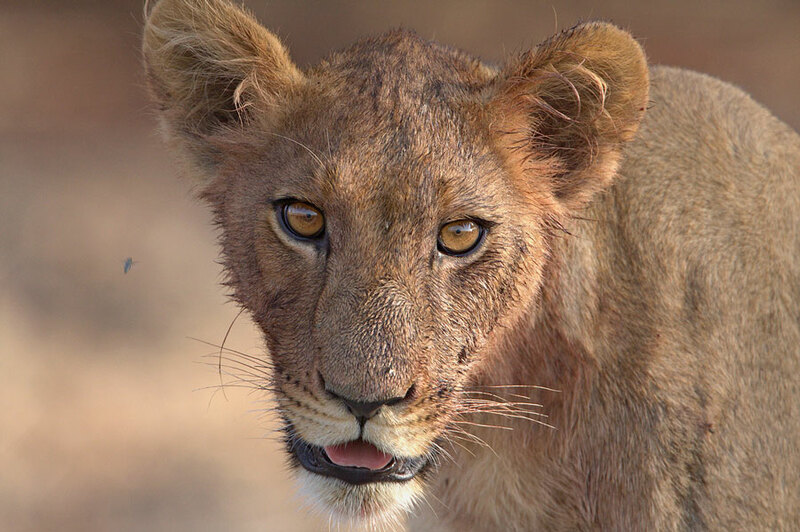 In human-lion conflicts pastoralists kill lions in retaliation for attacking their livestock. Livestock depredation can have serious impacts on local development: around protected areas, about 2 to 10 % of livestock is attacked annually. These can amount to extensive financial losses to communities living around parks. Retaliatory or pre-emptive lion killing threatens lion populations and, in the case of poisoning, the entire carnivore guild in addition to other regionally threatened species (e.g. vultures). The lion is a keystone species: while local exctinction would be beneficial for livestock it would be detrimental in terms of biodiversity, tourism and ecosystem integrity, with disappearing income as well. It is our opinion that sustainable landuse and conflict mitigation is feasible. The durability of our projects is guaranteed by the financial gains derived from protecting lions and their habitat and mitigating measures. We therefore support park staff with training programmes to improve parc management. Local communities also benefit from our projects, through reduced livestock losses as a result of improved livestock guarding techniques, which will contribute substantially to poverty alleviation throughout the project area. We are also implicated in educational projects for school children in Africa.